Arbutus andrachne for sale – Easy plant to grow with edible fruits, grown for the ornamental flowers and for the leaves and bark, planting in spring to autumn, better to buy plant or cutting or another option to start from seeds yet more challenging. 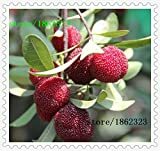 Arbutus andrachne for sale – What need to know before buying Arbutus andrachne? Arbutus andrachne for sale – need to know before buying Arbutus andrachne that need cool winter hot summer, alkaline soil, well-drained soil, season to plant it can be spring or autumn, sun exposure from full sun to half shade, the trunk when it’s mature is red color, bloom in the autumn and take one year to bear fruit also in the autumn.